Eastman has combined the power of the Cardinal 548 round knife with a heavy duty ball bearing skate and rigid track system. The Heavy Duty Falcon has a "Quick-lift" lifting device allowing for manual spreading and cutting of goods such as heavy woolens, canvas and most industrial fabrics. 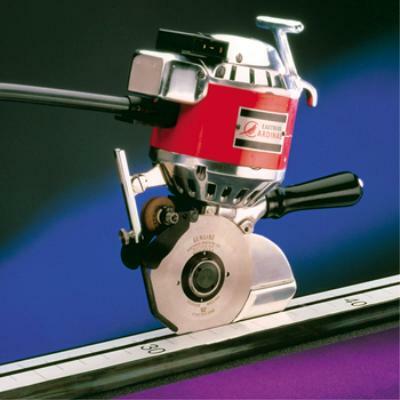 The 548 Falcon has a cutting capacity of 1 inch (2.54cm); making it the industry's most powerful and versatile cut-off machine. The new quick lift feature makes it easy to lift the tracks between spreads and the easy glide track allows the cutting head to move effortlessly across the track, reducing operator stress.